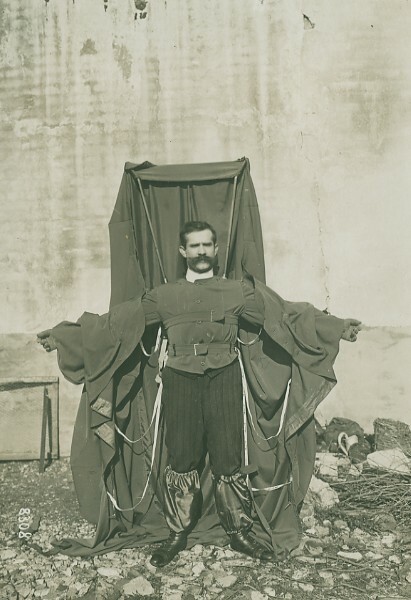 « Franz Reichelt (zubenannt der fliegende Schneider) Gedenkjahr 2012. 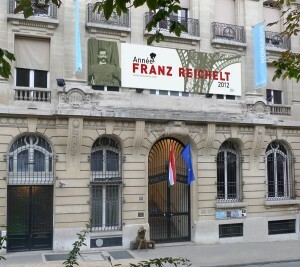 Franz Reichelt (a.k.a. the flying tailor) memorial year 2012. 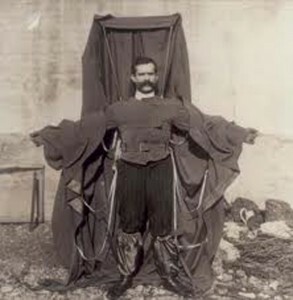 Mr. Franz Reichelt, the Austrian tailor tried out his self designed flying coat exactly 100 years ago on the 4th of February 1912. He jumped off the first floor of the Eiffel tower in the presence of a great crowd and many cameras as well. Although several calculations,modeling with puppets, and jumps from lower altitude were carried out before, his final jump, his experiment had remained finally the last and an unrepeatable action. The name of the tailor was marked in history due to his fatal action, though not the way he planned. Now his name is mentioned in every Paris guidebook with enough details. The experiment of Reichelt can be considered as an archetype of parachuting or the Batman type BASE jumping, which has become wide-spread just recently among the lovers of extrem sports. (not to confuse it with bungee jumping which is done with a rope) His name is mentioned in several places as a pioneer of the early parachuting in spite of the fact that his last experiment ended in failure. His character symbolizes an ever returning great desire of humankind to conquer the atmosphere, and to gain unlimited liberty from his own sources. 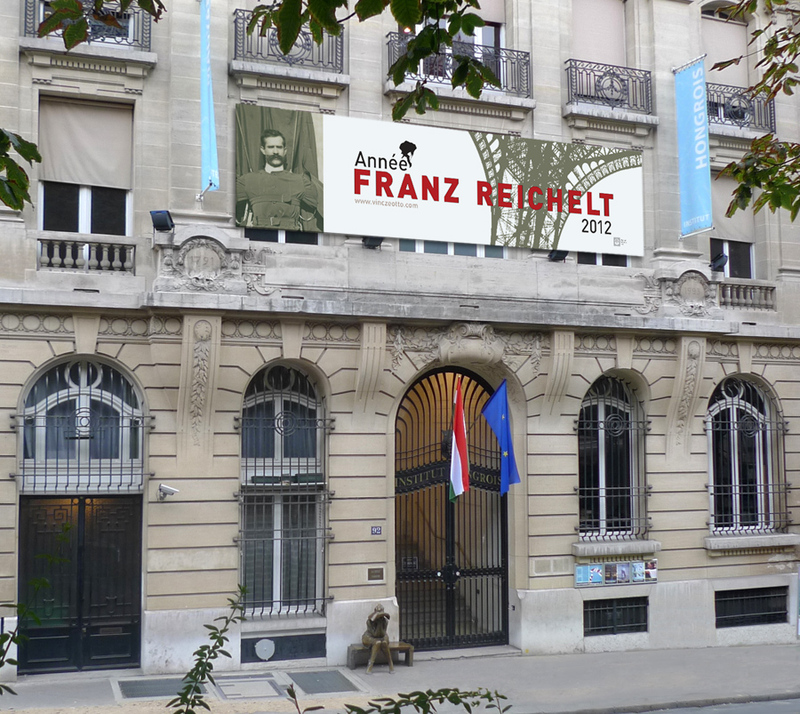 On the 4th February 2012, during my exhibition, there will be a centenary of the above mentioned event. A monument will be raised in memory of this very special event by my exhibition, though this event is only a marginal one in the history of technology. In this project I consider myself a competent person, because earlier in my works I have been dealing with this historical context heavily, expanded art interpretation and application of dress pattern. With this project I wish to deal with further details of this topic in the frame of pseudo-festival, spread over to other places this year as well.